We lived on Elm Ave street until I was six. The house on Elm had a hot tub in the back and a cherry tree in the front. It was a tricycle ride away from a small french bakery that sold chocolate mice filled with mousse & Boulder's last real butcher shop. The cherry tree was big then but now it consumes the front yard. The house is the same dull tan color, but the tree is so profound it doesnt seem quite as bad. The butcher shop is long gone, the bakery replaced by an Egg & I. The cherry tree was good for climbing year round, but the best was when it finally produced those plump red fruit jewels. Tree climbing went from a mediocre only-child pass time to a full on job and mission. It only took a nibble to learn that sour cherries aren't the sort of thing you pick and eat. Sour cherries look like standard Bings but a bit smaller, and the minute the tart juice hits your tongue, you know its better to wait until they've undergone a pie-transformation. The kitchen sat in the back of the house. On top of a pile of phone books, I remember pushing the cherries through a silver machine that popped the pit right out. I was in such awe of the pitting process that I completely missed the pie making. The next thing I knew, those cherries were sitting under a buttery lattice crust. Since I wasn't paying attention, this recipe is not for that pie. Instead, it's for a different summer favorite: Cherry Chocolate Chip Ice Cream. Done paleo, dairy-free, and egg-free. 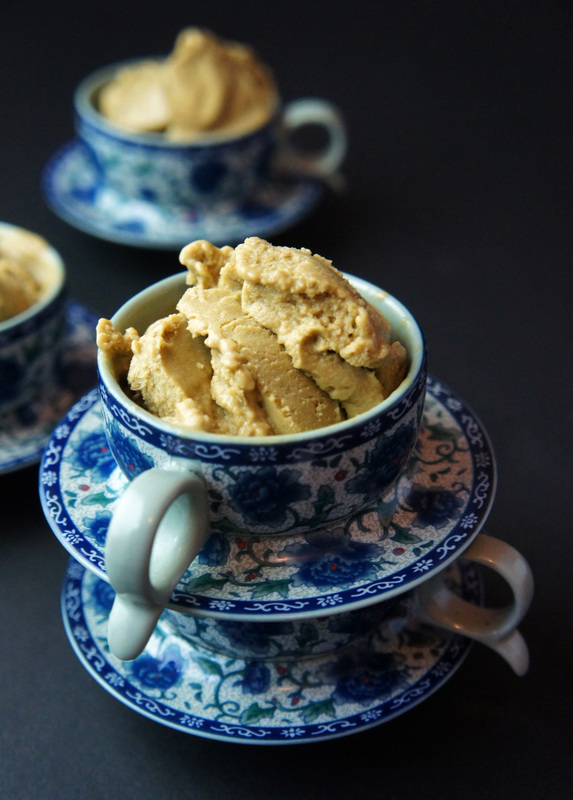 A Paleo spin on the classic Ice Cream flavor! Place the coconut milk, almond milk, bananas, and vanilla in a blender. Blender on high until smooth. In a small bowl, pour 1/4 cup of cold water over the gelatin. Set aside and allow allow the gelatin to bloom, about 5 minutes. Then, pour gelatin mixture into the blender and turn it on high for one more minute. Pour the ice cream mixture into an ice cream maker, if you have one. (If your ice cream maker decides today is the day to have technical difficulties, like mine did, or if you do not have an ice cream maker, that is fine. Transfer the mixture to a sealable container, such as a pyrex loaf pan with a lid.) When the ice cream maker has 5 minutes left add in the cherry and chocolate. (If you are not using an ice cream maker, add the cherry and chocolate to your container, mixing in gently). When the ice cream make is done, transfer the ice cream to a air-tight container and place in the freezer. (Or just put the lid on your container and pop the whole thing in the freezer. In you are not using an ice cream maker, you may want to check on the ice cream periodically (every few hours) and give the mixture a good stir, breaking up any big ice crystals that may form). Once the ice cream has set, use an ice cream scoop to serve! 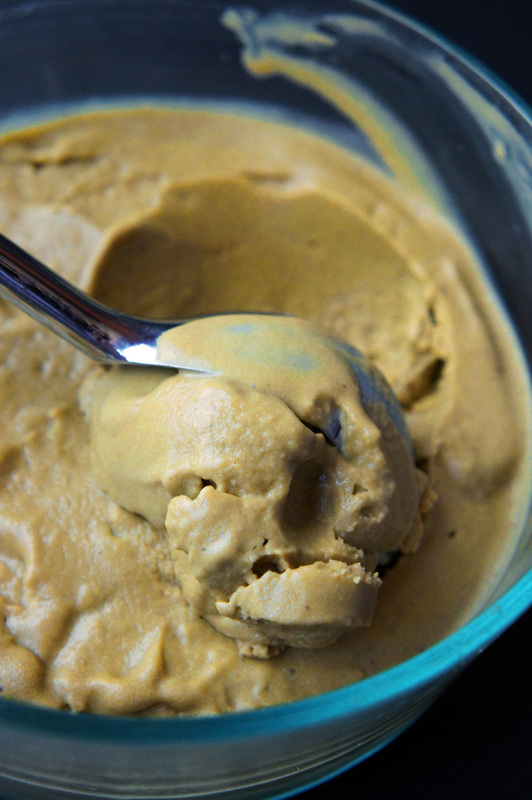 Letting the finished ice cream sit at room temperature for a few minutes will making the scooping process easier.